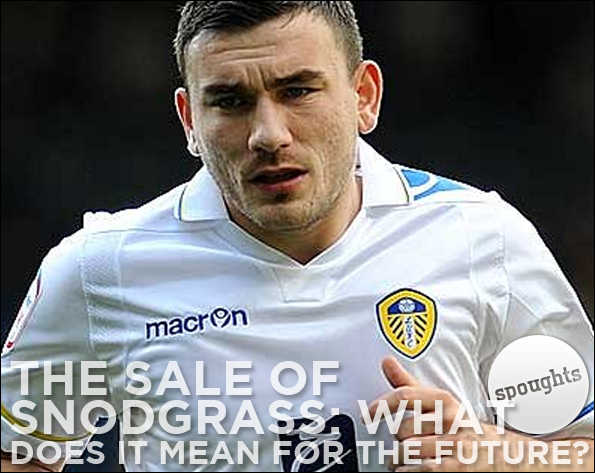 The Sale of Snodgrass: What does it mean for the future? “When I was a boy / everything was right / everything was right” – The Beatles. Why? Why why why why? Why? Was the gypsy curse never eradicated properly? Did something go wrong? As a child I pictured those damn red devils on the Manchester United badge laying down some sort of voodoo. It must have been some sort of dream, looking back on it. Alternatively, I actually have a direct line to Ferguson’s brain, in a Voldemort/Harry Potter-esque display of mind power, and him, the short ginger one and the one with the pedo-stache dressed up in devil costumes and put together some sort of devious spell that explains the up-fuckery that has occurred around Elland Road since I was a boy. I turned 20 eight days ago, and the situation compared to ten years ago cannot be much more different. It was only the beginning of the fall. I remember hearing of O’Leary’s sacking one day after school, but I didn’t really understand why at the time. In the ten years since, we’ve arguably only had one decent season. That was in League One. Three of the four midfielders who featured in that side regularly will soon play for a team in the Premier League. We own none of the four. There are myriad ways in which people have interpreted the departure of Robert Snodgrass. Some Leeds fans have criticized it as the typical movement of a player who has done what is expected and put self before side. They have uttered oft repeated phrases such as “no name on the back of the shirt is more important than the one on the front”. This is obviously true. Leeds United, as a concept, will exist far longer than Robert Snodgrass’s playing career. It already has, and barring any extenuating circumstances, will continue to do so well into the future. Given that he has left the club, Snodgrass’s time will certainly be little more than a footnote in the annals of the history of the club. He was a good player, at times excellent, and last season he was one of very, very few shining lights. A wand of a left foot, and ball control that impresses, Snodgrass is far too good to sit in the Championship. There is a flaw to the concept that the players don’t matter, only the club itself. Leeds United, in its current conception, relies upon several things. The most important of these is the perception of its own fans. For Leeds United fans travel up and down the country to support the club. Despite a season that was worse than average, Leeds took the most away supporters in the football league to stadiums. In the eyes of its own fans, Leeds United is still a big club. There is a limit to this belief. It is impossible to maintain this thought once it actually becomes a delusion. This becomes clearer and clearer as more players depart to clubs that should be lower on the food chain – the Norwich Cities of this world. When players escape from Elland Road at the first true opportunity, when these people are literally paid to be there, how can any less be expected of fans? I am not concerned for the current generation. Clearly the time has come and gone for the current fans of the club to wave the white flag, when Histon and the rest beat us on wind swept pitches in the lower reaches of league football. It is their children I am concerned for. Whilst my year of Leeds fans at school were all committed to the concept of Leeds United (as I detailed in an article for The Square Ball), even given our upbringing outside of the usual spheres of footballing influence, the same cannot be said for my younger brother’s contemporaries. A mere four and a half years younger, from what he says the majority of those in his year group do not support Leeds United. He only ever saw one game of ours in the Premier League live (a loss to Spurs), and awaits the day that he’ll see another. Those younger than him do not even have that. Why, given the choices available in this world, the free broadcast of football teams who play the game in a manner that can only be dreamed of, would those younger than us choose Leeds? With this generation of comfortable parenting, which mothers and fathers will allow each other to plunge their children into the depressing world being a Leeds fan has become? If things don’t improve, if we don’t keep our best, who will have any impetus to support Leeds thirty years from now? So Snodgrass has left. Yes, in reality, he is not Lionel Messi. He is not even Junior Hoilett. For a generation of kids, born into the doldrums of the lower leagues, however, he is, or was, a hero. I was lucky when I grew up. I arguably got to see one of the world’s best defensive partnerships (at the time, even though I did not realize it). I got to see a genuinely world-class striker in Mark Viduka, on his day. I even had a hero who had grown up in the club, who turned down bigger moves (even though he has since been vilified…and I’m not talking about Smith). Things went bad, but by then I was committed. We weren’t always big. It took a mindset shift generations ago. We had to become the best. People seem to increasingly think that doesn’t matter, as long as we’re still Leeds. But these people remember the best. Within time, we’ll just be another side. We’ll still know We Are Leeds and what that means, but what will that mean to those younger, who never experienced it? Who do the kids have to love? Who will the children idolize? They’ll be gone next week. 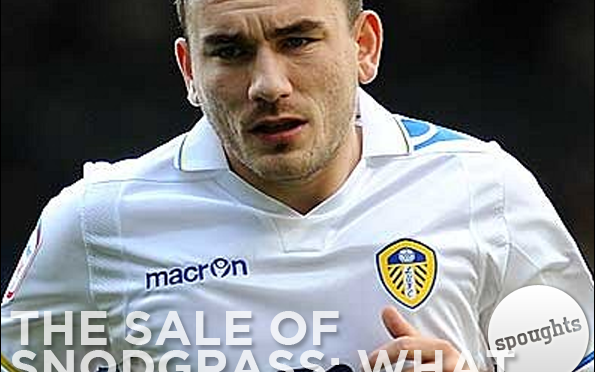 It’s sad to see Snodgrass go. But is it any sadder than seeing the procession of talent that has been sold in recent seasons? I DON’T blame the player for leaving. His departure is indicative of a deeper malaise. Let’s hope that under new ownership this once great club can re-establish itself where it deserves to be. sure what to do differently. You’re in the same boat with many other people. Keep reading to find out information regarding what to do next time you enter a dealership.